The Congress on Tuesday attacked the government over the Pulwama terror strike, alleging "huge security lapses", and asked Prime Minister Narendra Modi to "walk the talk". The Congress in the last few days had avoided directly attacking the government after Rahul Gandhi said on Saturday that his party isnot going to have any conversation over the next couple of days other than the fact that "our most beloved people have been killed, their families need us, and we are going to stand with them". However, signalling a shift in stance on Tuesday, Congress spokesperson Abhishek Manu Singhvi tweeted: "Congress highly responsible and very restrained post Pulwama. Modi pre-2014 made highly provocative statements including resignation calls for then PM (Manmohan Singh) at smallest incident." "We do not do so post Uri, post Parliament attack, post Pulwama. But huge security lapses have to to be plugged for no recurrence," he said. Such "huge security lapses" including the "ridiculous idea" of moving 2,500 jawans in 78 vehicles at one go, allowing any civilian vehicle on road simultaneously, ignoring direct written intelligence reports on Jaish suicide attack since December 2018," he tweeted. Is this attention to detail by "56 chest"?, he said. 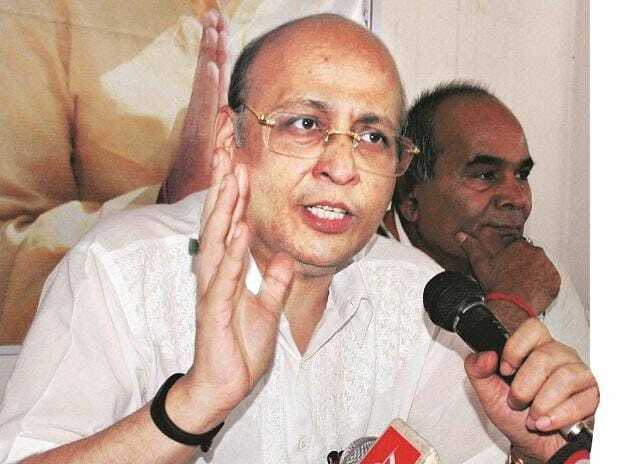 At a press conference on Monday, Singhvi, when askedwhy the Congress was silent on the alleged "failures" of the government leading to the Pulwama attack, had said he as well as many other Congressmen and non-Congressmen had tweeted their concerns in the first few hours after the attack. Another senior Congress leader Kapil Sibal also hit out at the government over the Pulwama terror attack on Tuesday. "Modi ji you say: It's over, the time to talk. You maybe right, but: It's time to walk the talk," he said in a tweet. "Promise us: No more 'japphis'. No more birthday bashes," he said in an apparent reference to Prime Minister Modi's surprise visitto Pakistan in December 2015, coinciding with Pakistan's then Prime Minister Nawaz Sharif's birthday.